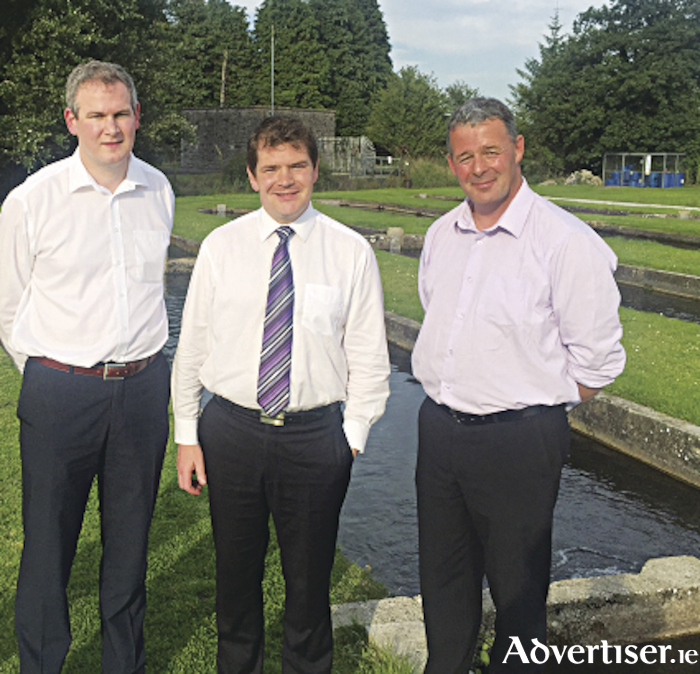 Deputy Peter Burke, Fine Gael TD for Longford-Westmeath, has this week received confirmation from Minister Sean Kyne that progress is being made regarding a compensation fund for eel farmers who had to cease operations due to EU rules a number of years ago. Deputy Burke said he has received a commitment that compensation will be forthcoming: “After meeting with a number of former eel farmers from across the constituency, it was clear that this issue needed to be resolved, and I communicated this to the minister during a number of meetings," he said. “I organised to meet with the minister again this week, who has now told me that he has just directed his officials to contact the European Commission outlining his plans to fund a support scheme for former eel fishermen. Initial responses have been received from the commission and the minister has confirmed to me in person that he is preceding with a compensation package. “Consultation is now required with the Revenue Commissioners and this is being commenced this week. Until consultation is complete, it is not appropriate to elaborate on the possible terms and conditions for or the prospective number of participants in the scheme, but I understand it will be comprehensive." Deputy Burke thanked Minister Kyne for being open to hearing a variety of views on the issue, and for responding to the need that exists in this constituency and in others. "He was similarly supportive when he stepped in in 2016 to stop the closure of Cullion Fish Farm in Westmeath," Deputy Burke continued. "We need leadership when it comes to angling and fishing, an industry where European Law often requires us to change the policies that have been in place for years. “While there is no property right attached to public eel licences and compensation is not an automatic entitlement, I understand the Minister and his department are choosing to implement support measures for eel fishermen and have ensured that funding is set aside for the scheme. It appears that potential support payments would be disbursed annually over a three year period. “I continue to keep in contact with the minister while the consultation with Revenue continues, and I am hopeful that further details will be confirmed in the short term."